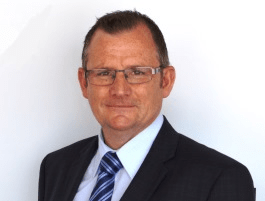 Dunlop Adhesives, the specialist manufacturer of tile adhesives, grouts, finishing, decorating and other ancillary products has strengthened its team with the appointment of John Stewart as Area Sales Manager. John, who has more than 30 years’ experience in the construction sector, will work closely with builders’ merchants and tradesman throughout the North of England to further the company’s commitment to increase brand awareness and drive sales of its tiling products and Pro Décor range of fillers and smoothers for the decorating market. Before joining Dunlop, John worked as Sales Manager for Marcrist International working closely with builders’ merchants across the UK. Prior to that, he held roles as Regional Sales Manager for Rust Oleum and Anglo Building Products and as Depot Manager (Yorkshire) for Travis Perkins. In addition, as part of Dunlop’s continued growth and investment, Debi Boulton has been appointed Sales and Marketing Manager. Debi previously held the role of Brand Manager and has been promoted to work closely with key account customers and ensure sales and marketing strategies are closely aligned across the business. “The Dunlop brand has long been respected amongst tradesman and merchants within the industry. We understand how important it is to stay at the forefront of industry developments and invest in our brand to ensure continued growth. John’s appoint is proof of our commitment to support the brand’s progression in what is an exciting time for the company.